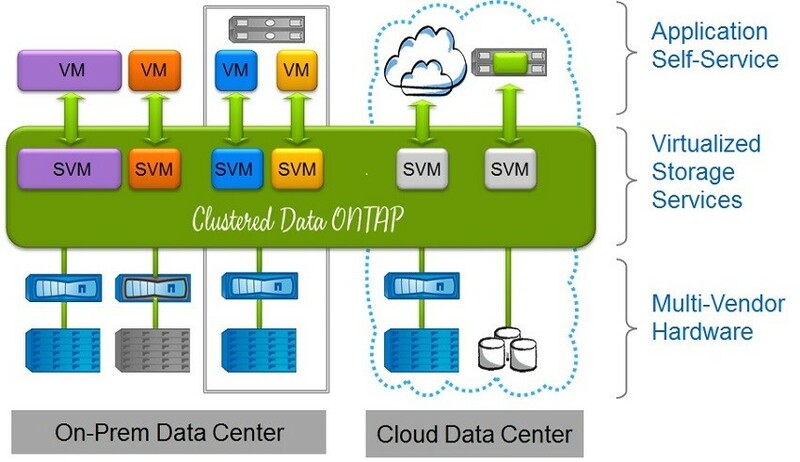 Just as VMware has been the pioneer for server virtualization, NetApp seems to be the virtualization player to beat in the realm of storage at this moment. Although NetApp’s ONTAP Cluster Mode (C-Mode) is not a new release, it is taking some of the legacy, 7-mode users some time to not only understand, but also implement C-Mode given its complexity compared to 7-mode. But an easy way to think of C-Mode, is to find the similarities with VMware’s vSphere. Cluster mode breaks apart the physical aspect of the storage into a virtualized setup where several virtual storage environments can be created to segregate the diverse logical configurations. C-Mode can be a great use case for a public cloud service provider where the segregation of storage virtual machines is necessary; but let’s keep in mind, that this kind of segregation can also be heavily utilized within a private environment for many use cases. Having recently achieved a master’s degree in Cyber-security and Information Assurance (CIA), I learned a few things about securing not only public environments, but also making sure we are internally secure. Your company is only as strong as its weakest link. After all, a great number of the attacks are generated internally by users with lack of knowledge or even malicious users. Through storage virtualization and the segregation of storage virtual machines, we can achieve not only better security but also better management through the use of policies. This virtualized storage environment allows for a more direct relationship with virtualized server environments such as VMware, where more granular control is needed. In my humble opinion, NetApp C-Mode and VMware vSphere are not that much different from each other. As I was preparing for my NCDA certification for NetApp (C- Mode), I couldn’t help but notice the similarities in their architectures. C-Mode acts as the Hypervisor, or in this case vSphere, and both platforms have virtual machines that act as independent identities. Such identities have their own personalities such as IP addresses, login information, mappings to a physical underlying network, etc.